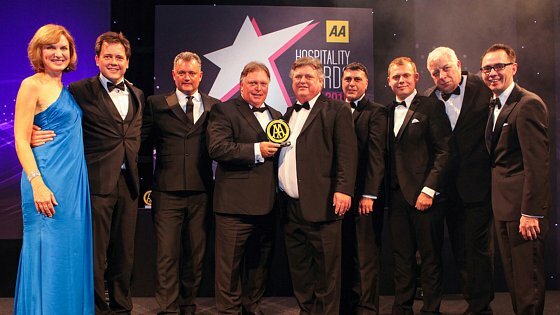 Awarded 4 Stars from the AA, following a multi-million pound redevelopment, The Park Hotel in North Devon is an exciting hub for visitors and locals alike. Just opposite Rock Park near the high street in Barnstaple, the peaceful location and vivid greenery contribute to the hotel’s unique charm, and with our luxury interior we’re one of the best North Devon hotels. Our rooms are all to an exceptional standard and many overlook the park, where magnificent oak trees frame views of the River Taw. Landscaped gardens, fabulous accommodation and the stylish Seasons Bar and Brasserie are amongst the most recent additions to the hotel. Add mouthwatering cuisine and a host of extras ranging from 24 hour room service to a Tesla electric car charging point and you have all the ingredients for amazing experiences in sensational surroundings. Guests at The Park now have the benefit of high speed WiFi, electronic check in and a lift. The luxury bedrooms are all equipped with state of the art air conditioning, laptop safes, 40-inch Smart TV’s with Sky, power showers, smartphone entry and the latest in-room technology. Why not choose to stay in one of our newly refurbished superior or deluxe rooms, all with glass balconies overlooking Rock Park, which set a completely new benchmark for luxury accommodation in North Devon hotels? Newly awarded 4 Stars, The Park is part of the Brend Hotels group (Winner of 'Hotel Group of the Year' in the AA Hospitality Awards 2015-2016). Following a multi-million pound upgrade (the largest development project ever undertaken by Brend Hotels) the rooms have all been refurbished with a fresh contemporary style, quality furnishings and all the little touches that we know you appreciate. We have also added two brand new fabulous rooms designed for guests with disabilities and a lift. As well as the main building, the hotel offers wonderful accommodation in Garden Court, a separate building set back still further from the road for even greater peace and seclusion. Come to The Park and experience for yourself the unique magic that sets Brend Hotels apart. You will find a warm welcome that is truly world class.